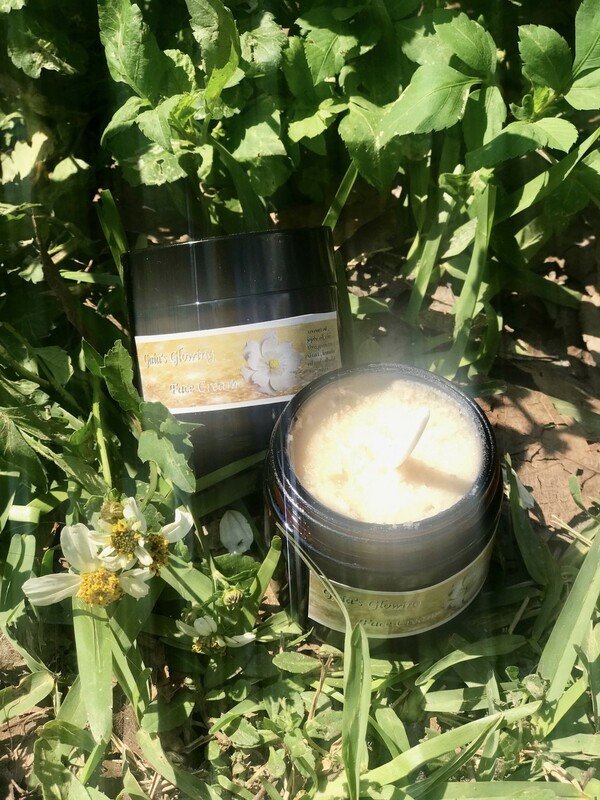 This is our homemade Gaia's Miracle Face Cream! This alchemy blends organic coconut oil, organic aloe vera, organic green tea seed oil, our homemade colloidal silver, & infused with lavender and vanilla essential oils. This miracle face cream is perfect for all skin types. It perfectly moisturizes the skin but dries matte. All of our products are made in the highest vibrational field on the planet, and are infused with love and healing. This face cream contains the perfect alchemy to heal, nourish, and replenish the skin from the harsh chemicals and pollutants on our planet. We highly recommend using this face cream one or twice a day depending on skin type, and pairing it with our love scrub!